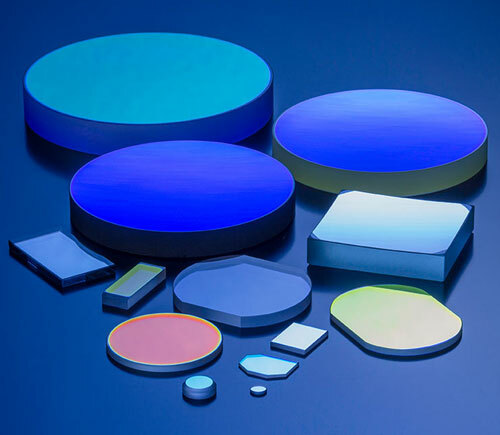 GENVAC specializes in the design and production of anti-reflective (AR) coatings for optical components, windows and miscellaneous substrates for wavelengths ranging from ultra-violet to long-wavelength infrared (LWIR). Since 1994 the company has developed and manufactured proprietary critical deposition components systems and accessories which enable our coatings and products to operate in very adverse environments. The company’s core competency resides in our expertise in both ion-assisted electron beam evaporation and plasma enhanced chemical vapor deposition (PECVD). Oxide films deposited at reduced temperature (less than 200 C) using our proprietary reactive ion-assisted evaporation, achieve bulk density, with superior adhesion and wear-resistance, significantly more robust than similar films deposited at high temperature (greater than 400 C). Diamond-Like Carbon (DLC) deposited with PECVD on substrates such as Ge, Si, IG-6 and zinc selenide has optimum optical and wear performance for military-grade infrared windows. The company possesses all of the necessary analytical tools to optimize coatings on a wide variety of substrates tailored to customer specified applications.